Here are some facts about the Panama Canal. 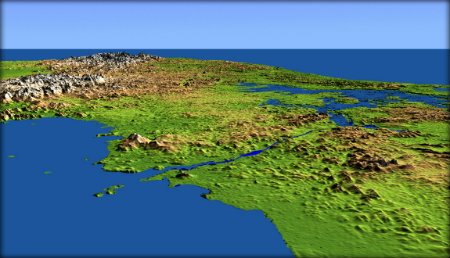 The Panama Canal is 48 miles long and connects the Atlantic Ocean to the Pacific Ocean. The canal has been named one of the 7 wonders of the modern world. After an unsuccessful earlier attempt by France, the US built the canal between 1904 and 1914. The elimination of the trip around the tip of South America shortens the journey by 8,000 miles. 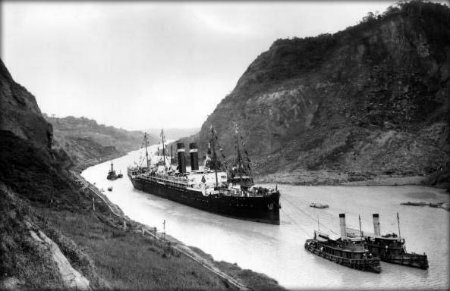 It takes about 15 hours to sail the length of the Panama Canal, although about half of that time is spent waiting. Some of today’s aircraft carriers and supertankers are too big to travel on the canal. Over 60 million pounds of dynamite was used in the canal’s construction. The material excavated during its construction would stretch round the world 4 times if placed in a goods train. Ships must pay a toll to travel along the Panama Canal, depending on the ship’s weight. In 2010, a cruise ship, the Norwegian Pearl paid a record $375,000 to use the canal. Huge locks at each end of the canal lift ships up so that they can traverse Lake Gatun. The locks are over 100 feet across and vary in thickness from 9 to 49 feet. In 1979, a US hydrofoil ship traversed the canal in less than 3 hours. In 1928, Richard Halliburton swam the length of the canal, paying a toll of 36 cents. Because of the S shape of the country of Panama, the sun rises from the Pacific and sets in the Atlantic. Panama is the only place in the world you can see this. Workers on the Panama Canal wore hats that were exported and became known as Panama hats. However, they are made in Ecuador, rather than Panama. The Panama Canal is open 24 hours a day, 7 days a week. On one day in February, 1967, 65 ships sailed the canal in one day.